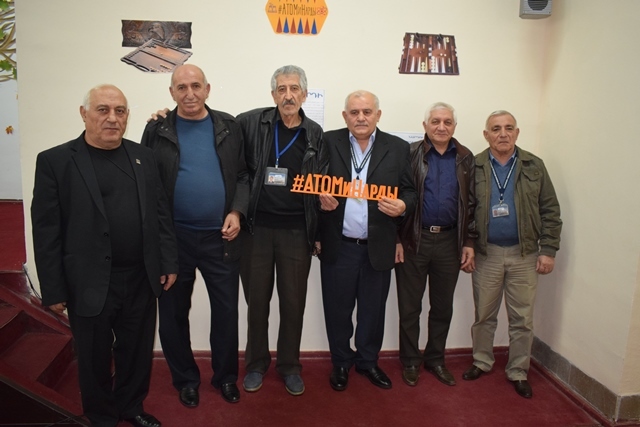 On November 2, 2018 in the town of Metsamor (Armenia) took place the interdepartmental backgammon tournament #ATOMiNardy among the employees of Armenian nuclear power plant (CJSC HAEK). The event was organized by JSC IUEC and CJSC HAEK. Backgammon or tricktrac as this game is called in the West are widely played on all continents around the world. This is one of the most democratic games invented by the man. Equal chances at the start, gambling dynamic struggle that requires calculation, logic and intuition, ability to take risks and, of course, a little luck. These qualities are very important in the modern world, where people every day face a myriad of tasks that need to be solved quickly and correctly. And the work at a nuclear power plant requires a high level of professional skills, responsible attitude to the duties performed, constant concentration, focus and rapid response to changing situations. Therefore, for employees of a nuclear power plant it is very important to develop the logical thinking, memory, observation, construction of the relationship chains, and the board games are very helpful in this. The backgammon tournament was held for a month. 10 teams of the NPP departments were struggling for the title of the best. Each team consisted of three individuals. The victory was awarded to the team competition. 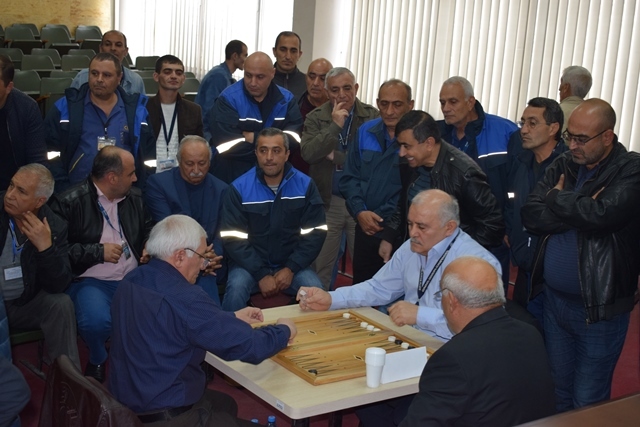 The real intrigue was spun in the final of the tournament for the I and II places in the conference hall of the plant. From the first minutes of the match in the room felt the atmosphere of interest and a passion for sport, full of vivid emotions. As a result of hard-fought struggle between two strong teams that are almost equally demonstrated excellent readiness skills and enviable will to win, the team of the Instrumentation and Control Department (I&CD) won the first place. The second place went to the team of the Centralized Maintenance Department (CMD). 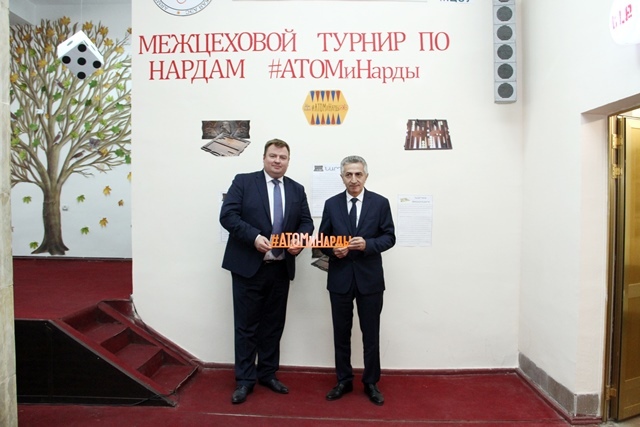 According to the results of the final stage of the tournament #ATOMiNardy was held the award ceremony attended by Movses Vardanyan, General Director of CJSC HAEK and Gleb Efremov, General Director of JSC IUEC. «I thank International Uranium Enrichment Centre for this common holiday for employees of the plant. The collective of the plant is a big happy family. And so kind and bright atmosphere unites us even more, allowing us to continue to work effectively together for the benefit of our common business», - Movses Vardanyan said. In his speech, Gleb Efremov congratulated all the winners and participants of the backgammon tournament, wished them further develop and reach new peaks. «Play backgammon, friends! This is both recreation and leisure, and sports. This is communication with friends and colleagues! This game gives energy, positive emotions and joyful experiences. Joint activities with our Armenian shareholder has become a good tradition that will continue the next year», ˗ said General Director of International Uranium Enrichment Centre. 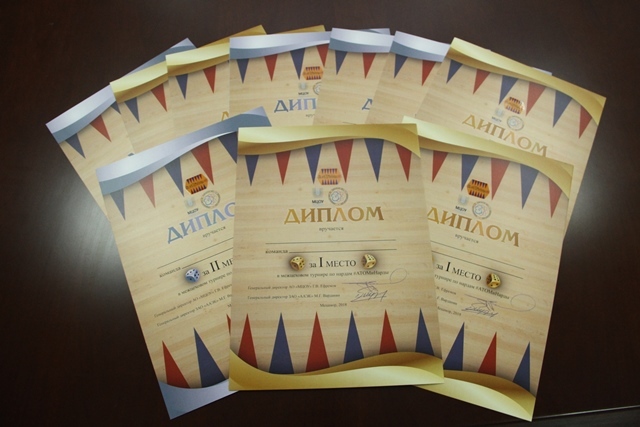 All fans of the fascinating ancient game received diplomas for active participation, and the teams received the I, II, III and IV places were awarded with diplomas and valuable gifts. Special thanks were given to four judges for their assistance in organizing the event and professional judging. 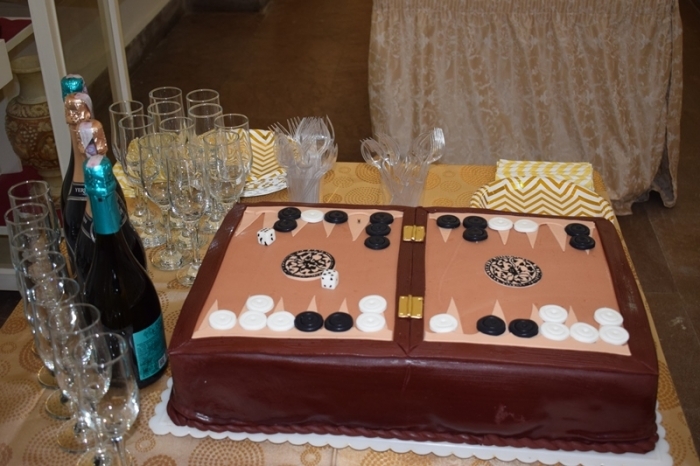 The tournament was completed with celebratory banquet for all participants, and the culmination of the celebration was the cake in the form of a game board with chips and dice for backgammon.